So let me get this right. In order to get more people into college, we have given out taxpayer backed loans to people who can’t afford to pay them back even with the degrees they have earned. By lending out unlimited amounts of money. we have allowed the colleges to artificially increase the cost of education without impact on attendance, Does this sound familiar? It is because this is the exact same problem that caused the housing market to collapse. We lent out money to people who could not afford to pay the loans back, but in the mean time, it caused a massive increase of home prices. And when it all crashed, we the taxpayer ended up footing the bill. This time the problem can not be blamed on the banks. This time the government loaned the money itself. You want to solve the cost of higher education, quit handing out money to anyone who asks. Lending standards are put in place because with everything comes risk. But our leaders have chosen to risk our tax dollars to improve their reelection efforts. 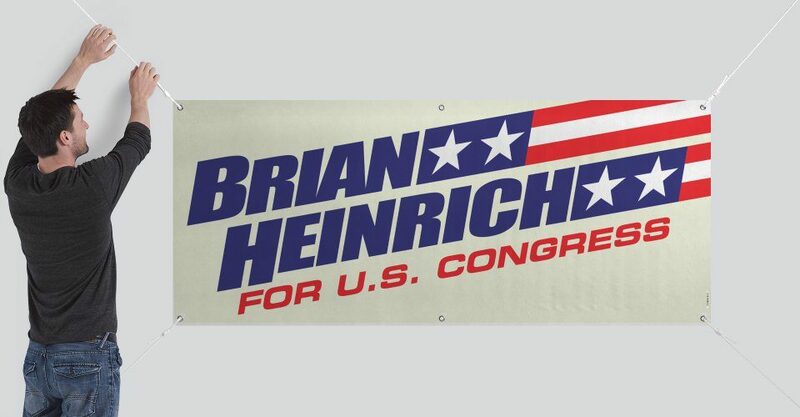 My name is Brian Heinrich and I am self financing my own campaign for US Congress. I don’t risk other people’s money.